You’ve discovered a niche just waiting for a prime solution to their problems. Then you set out to create a mouth-watering solution no savvy consumer could turn his or her back on. So where do you list this information product for sale so that it can be found by the people who need it most? You have several options in setting up your system. 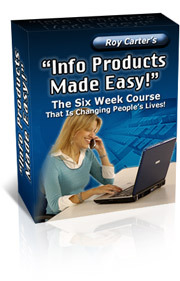 The most well-known information product bank on the ‘net is ClickBank. ClickBank allows you to pay a small registration fee and place your information product in their massive marketplace. You get to set the price of the product and also have ClickBank handle your affiliate program needs. With an affiliate army, you don’t have to do as much promoting, since they’ll be driving highly targeted traffic to the sales page for your information product. Some marketers start off using PayPal as their payment processor, but many don’t like relying on PayPal as their shopping cart. Using a processor devoted primarily to information products, such as ClickBank, allows the marketer to feel more secure with their sales structure. ClickBank isn’t the only payment processor you can choose to house your information product. Some people like to use Pay Dot Com to launch their products on the ‘net. Each site has its own unique set up. If you’d prefer to choose who can and cannot promote your information products as your affiliate, then you might want to go with a site like Commission Junction. This way, you get to approve affiliates before they’re allowed to start profiting from your hard work and great ideas. Some marketers like to sell their products directly from their website using a payment processor that’s handled through their bank. Sometimes this can be a pricey choice, so make sure you talk to your bank’s branch manager and uncover any hidden fees before you choose to accept payments directly through your financial institution. The place you house your information product on the ‘net isn’t as important as the amount of traffic you drive to it. As long as the system is stable and reliable and doesn’t cause the customer to encounter any issues during the purchase process, you’ll be okay. Plus, if you find that you prefer one system over another, it’s very easy to switch and set up shop with another carrier of information products.